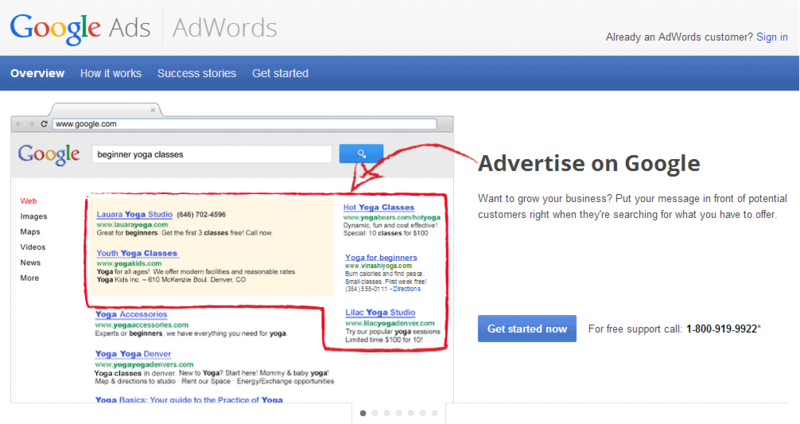 PolicyBazaar.com uses Google Ad- Words for cost effective lead generation. The company generates 100-200 leads per day consistently through Google Adwords. 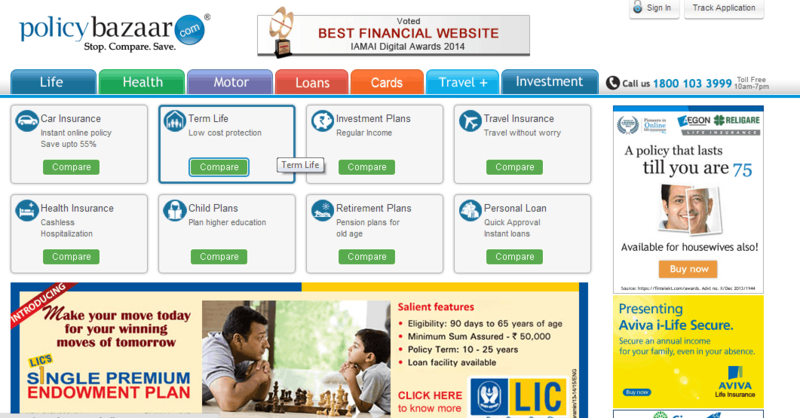 Formed in September 2008, PolicyBazaar soon evolved as one of India’s leading online insurance aggregators. According to Yashish Dahiya, the CEO of PolicyBazaar, the company is now India’s most prominent online life insurance and general insurance portal. With a sales force of 100 people across offices in Delhi, Gurgaon, Noida and Hyderabad, PolicyBazaar specializes in comparative analysis of insurance products offered by 41 renowned names in the insurance industry under a single online platform. The comparative analysis of various insurance policies is based on price, quality and key benefits. This empowers customers with accurate information on insurance products and helps them make informed purchases. In addition to car insurance, health insurance and travel insurance that are the offered at the moment, the company soon plans to plunge into corporate insurance and loan assistance too. Policy Bazaar found in a research they conducted that around 70% of visitors looking for insurance products on their site wanted to buy insurance within 30 days. This was a signal of a great opportunity for the company as they could provide professional guidance to visitors who wanted to buy insurance immediately. To leverage this opportunity the company started dedicating 95 % of their advertising budget to the online medium, of which 25% was dedicated exclusively to advertising on Google AdWords. Their main objective behind using Google Adwords was to increase their brand awareness and also generate leads at Rs 40-60 per lead. At the start, PolicyBazaar set up an AdWords account with three different campaigns, one each for their Car, Health and Life Insurance Products. The Company began using very basic keywords that related directly to their products. As far as periodic analysis of these keywords was concerned it was done with the help of ‘Conversion Tracking Tool’ provided within AdWords. With the help of this tool they were able to identify ineffective keywords that could then be removed from the list. Not just that they also experimented with variations of the more effective keywords to increase the list of keywords with the help of this tool. Finally, they were able to build an effective keyword list for each of the campaigns. The company was not only able to track their success through this effective, in-built tool but they also got dedicated support from Google account managers, who helped them track their Return On Investment (ROI) at a granular level and provided tips to increase performance online. 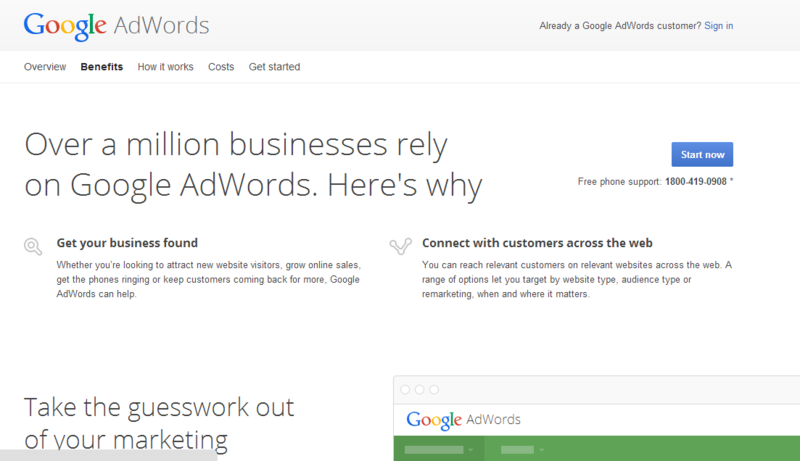 Google Adwords lets you measure your return on every single penny you invest in it. It lets you monitor and optimize your campaigns. Policy bazaar was able to increase the traffic to their website through Google Search Net- work, which in turn helped them receive around 100-200 leads per day consistently at a cost of Rs 60 per lead. Keep your Adwords advertising campaigns and keywords simple and relevant to your business. Besides, keep analyzing and refining the accounts to track the company’s ROI (Return on investment).